What do you do when you want to find a good design? Have a brain storm session, come up with different designs, try each one out and choose the best one? Or let the computer help you, by changing parameters such as dimensions and finding the design that matches the requirements best, possibly using Isight? While such a parametric optimization is powerful in finding the best variation around a theme, non-parametric optimization can come up with a completely new theme: a new design concept. 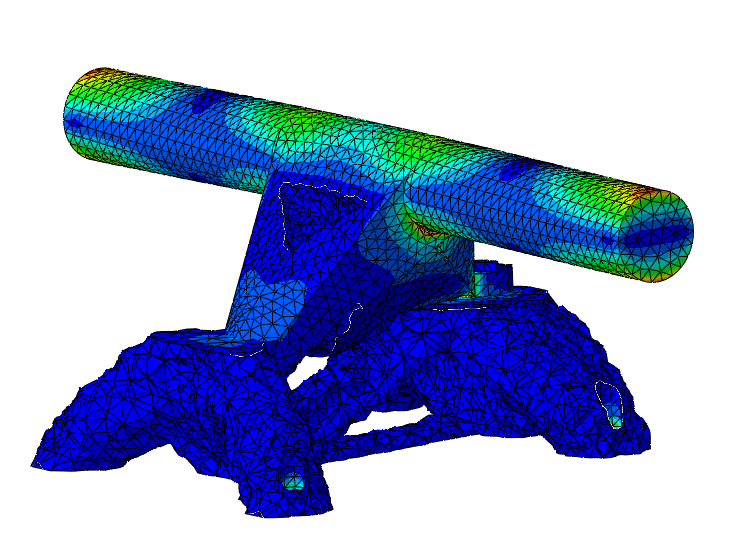 In this blog, we’ll take a look at non-parametric topology optimization using Tosca and Abaqus. With the Winter Olympics coming up, being Dutch and in need of an applicable topic, we’ll use a Dutch invention; the clap skate (see Wikipedia) as example, and focus on the yellow part in the figure below. First a regular Abaqus analysis is set up, and then Tosca is used to optimize the topology in this analysis.